Gary Williams, 63, a resident of Waukegan, IL and frequent visitor of Three Lakes, WI, passed away Monday February 22, 2016 from a courageous battle with lung cancer. Gary was born in Highland Park, IL to John and Dorothy Williams on April 16, 1952. He was an avid NASCAR fan, loved his antique cars and enjoyed his many years of visiting Northern Wisconsin. He was employed by the former Commonwealth Edison for over 30 years. Gary is survived by his wife of 28 years, Linda, his son Shaun (Lisa) Williams of Lindendhurst, his daughter Carie (Scott) Sorge of Three Lakes, WI, Heather Williams of Round Lake Heights, Lauren (Paul) Madl of Woodville, WI, Barbara Bennett of Three Lakes, WI and Ashley (Bryan) Edwards of Eagle River, WI, his grandchildren Brittany, Cody, Blake, Abby, Nevaeh, Alan, and Gage, his siblings Paul (Jan) and Phillip (Roberta), and his nieces and nephews. He was preceded in death by his parents. A memorial visitation is scheduled for Saturday, February 27, 2016 from 1:00pm until 2:00pm with a memorial service commencing at 2:00pm at Strang Funeral Chapel & Crematorium 410 E. Belvidere Rd. Grayslake, IL 60030. Interment will be private. For more information log onto www.strangfuneral.org or call (847)223-8122. 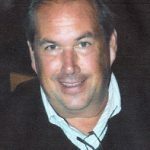 Daniel James Kegg (formerly of Gurnee, IL) 57, passed away Thursday, February 18th at his home in Lakewood Ranch FL. He was born May 6, 1958 to John and Ada Kegg in Waukegan IL. Dan was a highly respected business owner, founding 2 companies, Horizon Systems Machining (Kenosha, WI) in 1989 and RAMS Sheet Metal Equipment (Antioch, IL) in 2006. Dan was an avid golfer, enjoyed Nascar races, collecting antique cars, planting flowers at his home and watching football (he was a very loyal Vikings fan). He was a member of Our Lady of the Angels Catholic Church and belonged to the Knights of Columbus. He was a great man, and will be missed by so many. He is survived by his wife of 19 years, Sandra Kegg of Lakewood Ranch, FL. His mother Ada Kegg of Gurnee, IL, his daughter Samantha Kegg of Lakewood Ranch, FL, his sons, Myllano Kegg of Pleasant Prairie, WI, A.J (Grace) Kegg of Bristol, WI and Ryan Kegg of Gurnee, IL, his sister Nancy (Gary) Taylor of Wadsworth, IL, and brothers John (Jayne) Kegg of Pleasant Prairie, WI and Scott Kegg of Plainfield, IL. He is preceded in death by his father John Kegg and his brother Jerald Kegg. Visitation will be held Sunday February 28th from 4-8 P.M at Strang Funeral Chapel 410 E. Belvidere Rd. Grayslake IL. Mass will be held Monday February 29th at 10:30 a.m at St. Paul the Apostle Catholic Church 6401 Gages Lake Rd. Gurnee IL with a visitation starting at 9:30am at church. Burial place, Ascension Catholic Cemetery & Mausoleums in Libertyville IL. In lieu of flowers, donations can be made to Our Lady of the Angels Catholic Church Building Fund in Memory of Daniel James Kegg, 12905 E. State Rd 70 Lakewood Ranch, FL 34202. For more information please contact (847)223-8122 or log onto www.strangfuneral.org. Andrew C. Rheintgen, 39, of Round Lake Beach, passed away February 17, 2016 in Barrington, IL. He was born in 1976 in Highland Park, IL to Ward Rheintgen and Carolyn Gordon. Andrew was a graduate of Libertyville High School and Western Illinois University. He was a Vernon Hills police officer for 16 years and a member of the Fraternal Order of Police. Andrew was the loving husband of Susan for 8 years, they wed on June 2, 2007 in Itasca, IL, an adoring father to Emily Rheintgen, and is also survived by his mother Carolyn (Bruce) Gordon, his father Ward (Carol) Rheintgen, and his siblings Elizabeth (Michael) Downs, Michael (Christine) Riordan, and Jeff Gordon. He was preceded in death by his brother Gary Gordon. A visitation is scheduled for Sunday, February 21, 2016 from 1:00pm until 7:00pm at Strang Funeral Chapel & Crematorium 410 E. Belvidere Rd. Grayslake, IL. A funeral mass is scheduled for Monday, February 22, 2016 at 10:00am at St. Mary of Vernon 236 US Highway 45 Indian Creek, IL. Interment will follow the services at Ascension Cemetery in Libertyville, IL. Memorial donations may be made to the Jimmy V. Foundation. For more information log onto www.strangfuneral.org or call (847)223-8122. 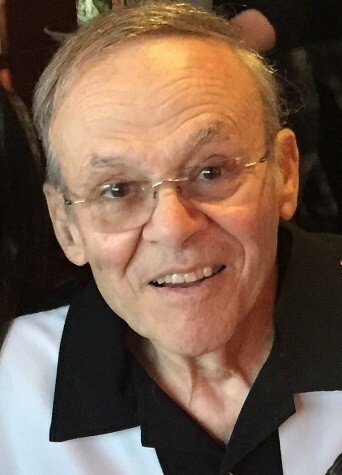 Jerome Anthony Locascio, 77, a resident of Round Lake Beach, passed away Tuesday, February 16, 2016, at his home surrounded by his family. He was born August, 22, 1938 in Elmhurst, IL to Tony and Anne (nee: Commare) Locascio. Jerome loved to waterski, enjoyed watching hockey and football, and spending time at the gym and time with his family. He also enjoyed getting dressed up for Halloween and other occasions. Jerome is survived by his wife of 50 years, Vivian, whom he wed on May 28, 1966 in Chicago. He was a loving father to Michelle (Dean) Griffin of Twin Lakes, WI, Cherie (Ray) Stanek of Genesse, WI and Anthony (Danielle) Locascio of Round Lake, a cherished grandfather to Deena, Dylan, Mason, Griffin, and Arianna Locascio, and a beloved brother to Bonnie (Leo) Vincenti and Pat Locascio. He was preceded in death by his parents. A visitation is scheduled for Friday, February 19, 2016 from 4:00pm until 8:00pm with a funeral service commencing at 8:00pm at Strang Funeral Chapel & Crematorium 410 E. Belvidere Rd. Grayslake, IL 60030. Interment will be held privately. In lieu of flowers, donations may be made to the Bladder Advocacy Network www.bcan.org or the St. Jude Children’s Hospital www.stjude.org. For more information log onto www.strangfuneral.org or call (847)223-8122. 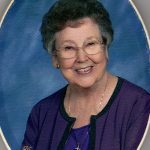 Helga Carlson Churchill, 95, a resident of Grayslake, passed away on February 16, 2016. She was born September 29, 1920 in Gladstone, Michigan and moved to Grayslake in 1943. She was a graduate of Gladstone High School and National College of Education in Evanston, IL now known as National Louis University. She was a member of the United Protestant Church of Grayslake, a member of the Woman’s Christian Fellowship, Circle 8, the Grayslake Historical Society, and the Lake County Republican Federation. Helga is survived by her daughter Mary (Jon) Dickson of Fargo, ND, two sons Robert W. Churchill and William A. (Doreen) Churchill, her grandchildren Timothy (Jennifer), Matthew (Tara) and Michael Dickson, Stephen, Marisa, Abigail, Julia, and Christine Churchill, and her great-grandchildren Theodore and Stella Dickson. She was preceded in death by her husband George O. Churchill, her parents Alfred and Wilhelmina Carlson, and her sisters Mildred Johnson Schneider and Edith Karlsen. A visitation is scheduled for Saturday, February 20, 2016 from 9:00am until 11:00am with a funeral service commencing at 11:00am at the United Protestant Church 54 S. Whitney St. Grayslake, IL 60030. Interment will follow the services at Avon Centre Cemetery in Grayslake, IL. Memorial donations may be made to the United Protestant Church. All funeral arrangements were entrusted to Strang Funeral Chapel & Crematorium 410 E. Belvidere Rd. Grayslake, IL. For more information log onto www.strangfuneral.org or call (847)223-8122. Carol J. Felix (nee: Monroe), 66, a resident of Waukegan, IL passed away Saturday, February 13, 2016 in Waukegan, IL. She was born March 9, 1949 in Cass Lake, MN to Charles and Emily Monroe. Carol enjoyed making dreamcatchers and other Native American crafts. She was an avid collector of Native American dolls. Carol was known for her kindness, the ability to make you laugh and her love of animals. Carol is survived by her husband of 27years, Fred Felix, her son Douglas Monroe, her grandson Christopher Lee Lynn, and her siblings Darlene Bradley, Shirley Grom, Linda Beke, Donna Schneider, and Mike Monroe. She was preceded in death by her sisters Bonnie Montori and Lillian Becker, her brother Chuck Monroe, her niece Cheryl Monroe and her parents. A visitation is scheduled for Saturday, February 20, 2016 from 2:00pm until 5:00pm with a memorial service commencing at 5:00pm at Strang Funeral Chapel & Crematorium 410 E. Belvidere Rd. Grayslake, IL 60030. For more information log onto www.strangfuneral.org or call (847)223-8122. Ann R. Ruzga, 86, a resident of Grayslake, passed away Sunday, February 14, 2016, at her home surrounded by her family. She was born August 2, 1929 in Gary, IN to Joseph and Mary (nee: Bugay) Iwan. Ann was a member of St. Mary of Annunciation in Mundelein, Senior Vista Health, Ambassador Club, Waukegan Moose Golden Antlers, Twin Club, and Boy Scouts, helping her 4 sons become Eagle Scouts. Upon her retirement and for 15 years, she toured the western states, Canada, and Europe. To remember these trips, photo albums were created during the “Golden Years”, allowing everyone to enjoy the trips. Ann always kept her children and grandchildren in her heart. We wish to express our many thanks to hospice, Condell Hospital and staff, as well as Dr. Slivnick, Dr. Roden, and all the medical personnel for caring for Ann in her peaceful passing. Ann is survived by her husband Bernard J. Ruzga, her children Bob (Deb) Ruzga, Mike (Lisa) Ruzga, Richard (Linda) Ruzga, Tina (Bryan) Lightfoot, and Dennis Ruzga, her grandchildren Ashley (Garret) Wright, David (Michelle) Ruzga, Brad, Anna Kate, Marissa, Danielle, Kayleigh, and Melaine, and her twin sister Marie Silich. She was preceded in death by her parents, her son Tom Ruzga, her brother Joseph and his wife Ann Iwan, and her brother-in-law Victor. A visitation is scheduled for Wednesday, February 17, 2016 from 4:00pm until 8:00pm at Strang Funeral Chapel & Crematorium 410 E. Belvidere Rd. Grayslake, IL 60030. The funeral mass is scheduled for Thursday, February 18, 2016 at 10:30am at St. Mary of Annunciation 22333 W. Erhart rd. Mundelein, IL. In lieu of flowers, memorials may be made to the charity of your choice. For more information log onto www.strangfuneral.org or call (847)223-8122. Robert F. Peterson Jr., age 62, a longtime resident of Lake County and Wildwood passed away Thursday, February 4, 2016 in Virginia Beach, VA. He was born on March 6, 1953 in San Diego, CA to Robert and Lois Peterson. He was a member of 4-H and a veteran of the United States Army. He is survived by his loving wife of 36 years, Laura E. Peterson; his daughter, Rebecca (Ian) Hudak; grandchildren, Aurora Hudak and Andrew Hudak; and his sister, Ruth Peterson. He was preceded in death by his parents. Friends of the family may visit on Thursday, February 11, 2016 from 4:00 p.m. until 8:00 p.m. at Strang Funeral Chapel & Crematorium, 410 East Belvidere Road, Graylake, IL 60030. A funeral service is scheduled for Friday, February 12, 2106 at 10:30 a.m. at the funeral chapel followed by interment at Warren Cemetery. In lieu of flowers, the family requests donations to Save-A-Pet, 31664 North Fairfield Road, Grayslake, IL 60030. For information, please call 847-223-8122 or log on to www.strangfuneral.org.